Preparing recipes for kids with diabetes can be a daunting task. 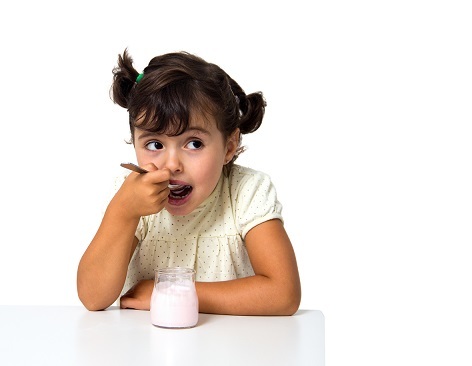 Here we present four interesting recipes for kids with diabetes made with yogurt. It is a traditional drink of India and helps to beat the heat. Now add salt, black salt and roasted cumin powder into it. Next add water and whisk using a mechanical or electrical blender till it becomes frothy. Tips: Either you can use chilled water or after preparing the lassi keep it in the refrigerator for one hour. Raita is a yogurt based condiment and a perfect accompaniment with biryanis and parathas. Take the yogurt in a bowl and beat well. Now add chopped cucumber, onion, salt, red chilli powder and coriander leaves. Mix them well and keep it in the refrigerator for half an hour and serve. This is a healthy salad prepared from fruit and topped with yogurt. Now beat the yogurt and add top of the fruit bowl or mix the fruit and yogurt together. If you wish can add honey from top. It is a healthy smoothie and filling too. Take oats, yogurt, banana, milk and honey in a blender and blend until smooth. Serve in a glass.